Inside the garbage disposal foul odors occur from a buildup of food debris. 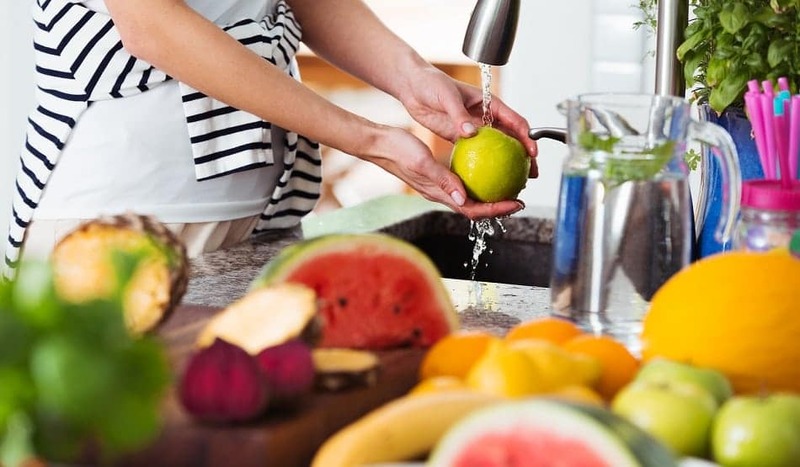 To eliminate this drain odor, place ice cubes, and lemon or orange peels in the disposal and run for 30 seconds. Next, pour a little liquid dish detergent into the disposal while it is running. To clean out the peels simply run cold water into the drain for about 30 seconds.